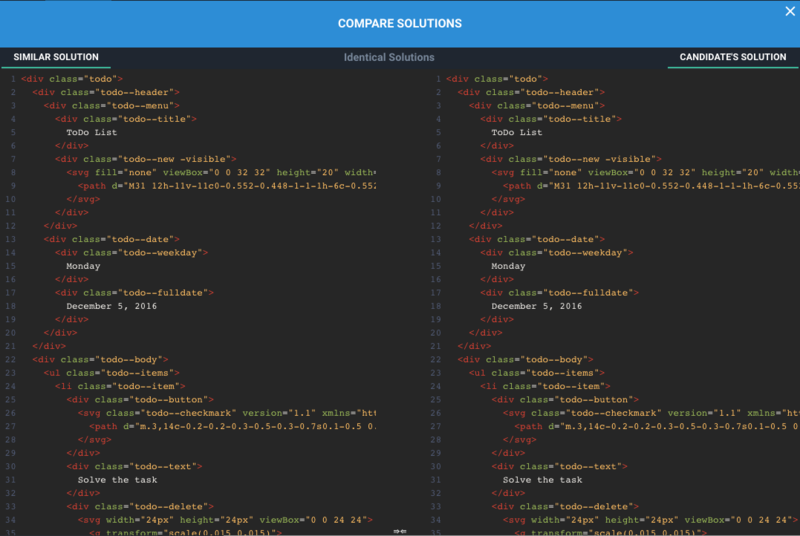 Take a look at our newest features, updates, and bugfixes. 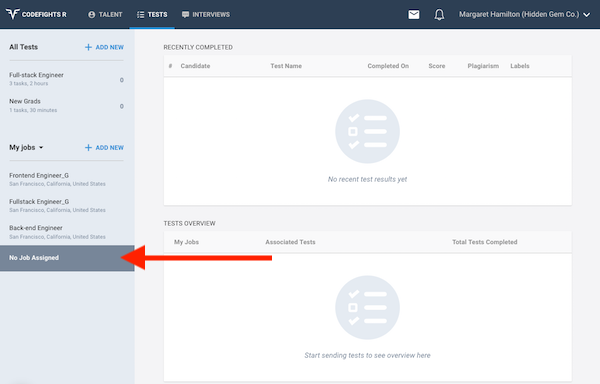 We’ve got some important updates this week that make Test even better: candidate performance summaries included in your notification emails, an improved plagiarism checker view, and more. Happy hiring! Shows a user-friendly and informative log-in page if you try to view a candidate profile while you’re logged out of CodeFightsR. ✨ Test results emails now include a summary of a candidate’s performance. ✨ The countdown clock notifies candidates when there’s only 1 minute left, and again when the test ends. ✨ See all tests that aren’t assigned to a job in the new No Job Assigned category. Shows a user-friendly log-in page if you try to view a test result while you’re logged out. 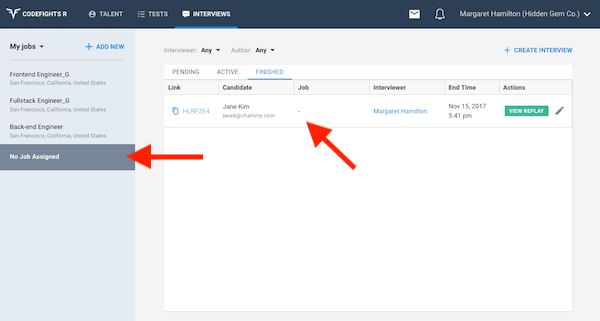 ✨ See all interviews that aren’t assigned to a job in the new No Job Assigned category. ✨ Lever or Greenhouse candidate profile links are automatically added to CodeFightsR candidate profiles if there is an email match. Fixed the duplicated presence indicators that appeared in some longer interviews.